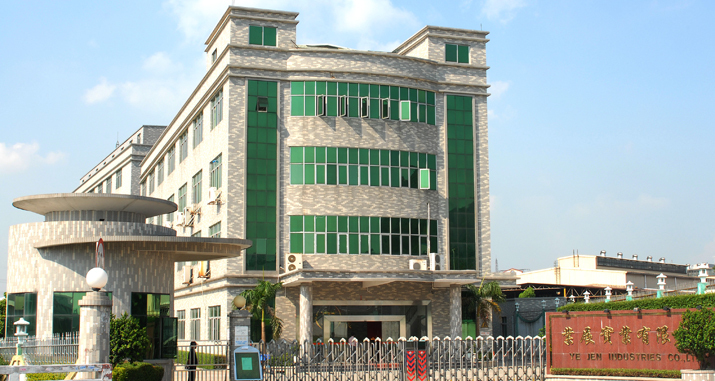 Yejen Industries Limited was set up in the district of Bao’An, Shen Zhen, in 1989. Its products are separated into three series: Home appliance, Massager and Office automation. Since 2000, YEJEN focused most of its energy on producing and developing steam items such as steam mop, steam cleaner, steam vacuum, cleaner. With more than 10 years of experience and efforts, YEJEN has become a leading manufacturer in this area. During the early 90’s, in the spirit of continuous creative development, YEJEN gradually grew and was moved to Chang Zhen, Gong Ming, in the city of Shen Zhen in search of a bigger factory in order to meet with overwhelming sales growth. YEJEN possesses an outstanding office network and every department has their own latest equipments. This is one of the reasons why YEJEN still attracts talented professionals. In an attempt to enhance our competitiveness in the market, we have upgraded our equipments several times. To mention more, YEJEN has an integrated system from new product design, developing, manufacturing to sales service. In 2001, we had been certified by ISO9001 quality control system. This step has enabled us to introduce our products all over the world. Moreover, in the same year, YEJEN had been qualified twice for the environmental protection approval of ISO14000. Our products, from massagers, household appliances, office automation to high and new technology items, are sold internationally. It is important to mention that except for existing products, we are continuously developing new items, either OEM or ODM, and even products from our creation. YEJEN’s recognition has been the result of our good service and our friendly relationship with our customers. Welcome to YEJEN. We put the welcome mat out to all directions. We open our arms to get any comments from you and we hope to build a long-term business relationship with you in the near future. Now YEJEN is provided with the whole unit system from new product design, developing, manufacturing to sales service. Yejen Appliances (Shenzhen) Limited es una fábrica situada en la ciudad de Shen Zhen, China. Nuestra fábrica, con más de 50.000 m2 y alrededor de 600 empleados, se especializa en la producción de pequeños electrodomésticos tales como masajeadores, vaporizadores, aspiradoras, planchas a vapor, licuadoras (tritura hielo), sacapuntas eléctricas, trituradoras de papel, guillotinas, entre otros. Hemos exportado nuestros productos a Alemania, Japón, EE.UU., Canadá, Italia, México, Brasil, etc por más de 20 años, y nuestra meta es expandirnos más en el mercado. Al contactarse con nosotros, usted podrá ahorrar costos adicionales tales como costos de traducción y costos innecesarios de intermediarios; de ésta forma, usted podrá conseguir los productos deseados al menor costo con la mejor calidad ya que hemos sido testeado y aprobado por ISO9001 y ISO14000. Yejen acepta todo tipo de comentarios y deseamos poder contactarnos con todos aquellos interesados en establecer negocios de largo plazo en un futuro cercano.